Well, it’s been a long time since I’ve posted anything on this site and even longer since I’ve done any writing, but after the upheaval in my person life during which I lost both my parents, six months apart, I’m finally ready, and in the right frame of mind, to hit the keyboard once again. The outline for the fifth book in the Southern Skyes series, which is as yet unnamed, has been written for a long time now and I’ve just recently started on it’s expansion. My editor is expecting the completed manuscript by June so, hopefully, it will be released around August. Then it will be on to the final book which will complete the series . . . unless, of course, I decide to go off on a tangent with some of the more interesting people and events of the series. 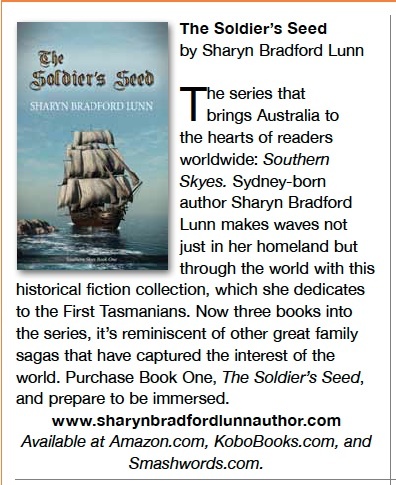 This entry was posted in Uncategorized and tagged Australia, Australian author, historical fiction, Sharyn Bradford Lunn, Southern Skyes, Writing. Bookmark the permalink. Thank you, Margaret. I’m feeling like it’s full steam ahead right now.